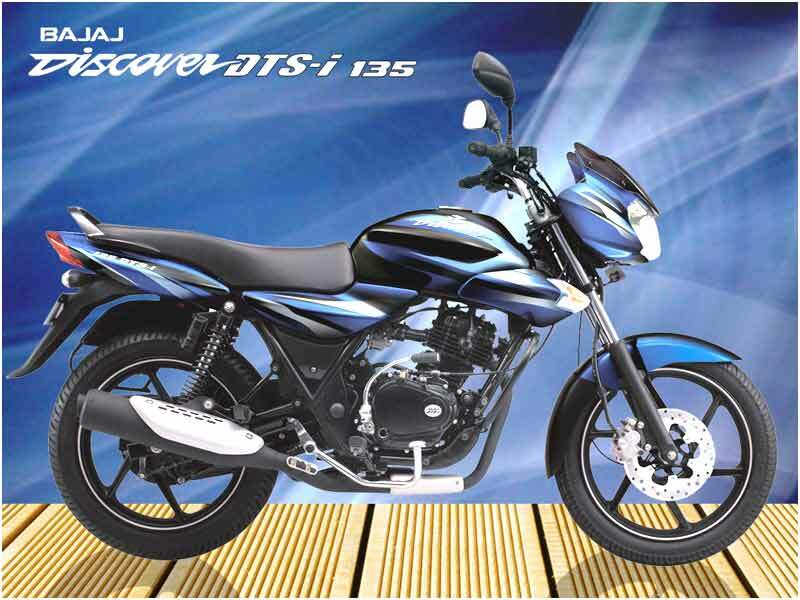 The upgraded Bajaj Discover 135 DTSi is the extension of the 110cc and 125cc versions. It has also captured the market since its launch with many style-hungry buyers from India and outside lining up to know much more about the specifications of the bike. The digital Twin Spark ignition system and Nitro X shock absorbers, integrated with the bike have attracted bike buyers. It is available in three models - Discover Sports, Discover Electric Start, and Discover Kick Start. The bike owns the latest technology and is a competitor to the already launched Bajaj Pulsar twins and the 125cc Bajaj Discover. Discover 135 DTSi can be placed between Discover 125cc and Pulsar 150cc in performance wise but better than both in price concern. Bajaj's dual-plug DTS-i is used to make the four stroke engine more efficient. The engine has a single cylinder and releases energy of 13.1bhp @ 8500rmp and it is air cooled to facilitate a smooth ride for the biker. The combustion is effective and has Keihin CV carburetor. The clutch is comfortable to use and the four gears can be changed from one to another with much ease. Competing with biggies like the Pulsar and its 125 cc predecessor, New Discover 135 cc has proved itself to be a winner considering its class. The engine, silencer and shock absorber are all treated with the black paint finish. The headlight and the sound of the horn are impressive. A new tachometer, fuel gauge and a trip meter show the style statement of the bike. The color combination of red and blue strip gives a great look to the bike. The chassis is a double-cradle type and is similar to 125 cc model. The bike has many features similar to Bajaj Pulsar 150cc model and also a few characteristics and parts from the Discover 125cc. The bike has an O-ring and a well placed drive chain. The rear tyre is fatter than the one on the older 125cc variant. Swing arm pivot section and rubber tray-guard at the centre base make it more stylish. The new suspension helps the rider have a smooth ride. The front suspension is telescopic that checks a travel of 130mm and is one of the best of its type. Seat and Handle bar are placed in a manner to give stability to the rider. The bike can go up to 105 kmph on a good road. The fuel efficiency can go up to 55kmpl. 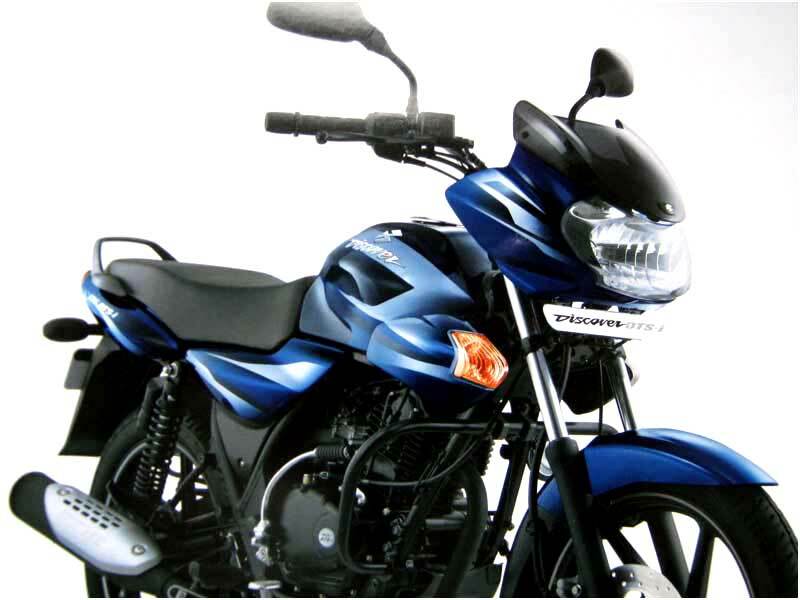 It is a bike with no comparison to other models available in a reasonable cost. It is a complete package taking care of the needs of average riders with an affordable price attached to it. 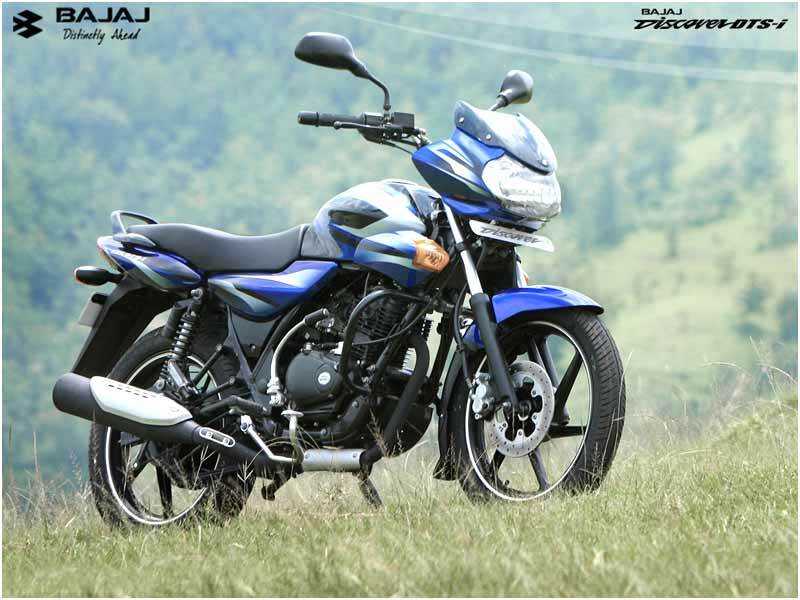 Bajaj Discover 135 DTSi is capable of delivering an average mileage of 68-70 kmpl. All the models of the New Discover 135 DTS-i are available in Blue, Black, Red and Grey paint schemes. Rear Suspension Trailing arm with coaxial hydraulic shock, absorbers and coil springs.